If you’re as excited about the live action remake of Disney’s Aladdin as we are and have not only watched the animated version a million times as well as the spectacular theatre production in London, then you’ll probably want to get in line to get your mitts on MAC’s latest collection. To celebrate the release of the forthcoming Guy Ritchie movie starring Will Smith as Genie, MAC have collaborated with the production to produce a limited edition line inspired by the tale of rags to riches via a magical lamp, a genie and 3 wishes… not to mention the drama that ensues and makes the classic story all the more exciting. MAC’s vibrant Aladdin collection is specifically inspired by heroine, Princess Jasmine’s beauty looks from the movie with a “whole new world” of eye, cheek and lip colours, shadows and shimmers that will leave you spoilt for choice. 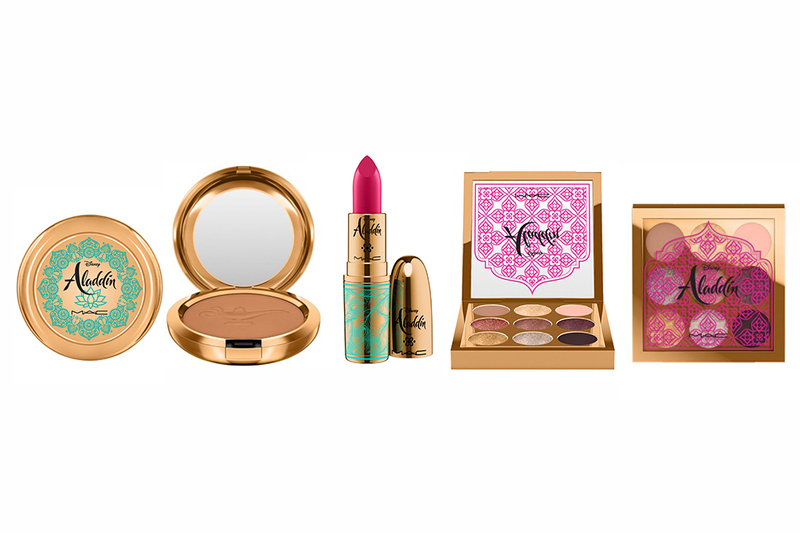 From the collection, the most stand out products include a hot pink lipstick, fit for the Princess of Agrabah – encased in bold and detailed packaging denoting Middle Eastern influences. The collection also offers up a nine shade eyeshadow palette that perfectly complements Princess Jasmine’s iconic turquoise blue outfit, and what makeup look would be complete without a shining, shimmering, splendid highlighter? The bronzer comes with an oh-so-cute genie lamp imprinted in it, making your makeup wishes come true. The magical collection is set to release this May as the movie premieres on May 24th 2019. This particular collection may be the most hotly anticipated yet as MAC have also announced their collaboration with trailblazing French-Tunisian artist, eL Seed.